As a child, Miriam DiGiuseppe spent three years in a refugee camp with her family. Her first-hand experience as an immigrant to Canada and in the Canadian school system has translated into a lifelong interest and passion in issues affecting children and their families in the education system and the community. As an educator with the Toronto Board of Education and the Toronto District School Board, Miriam has worked at the elementary, secondary and adult levels as a Teacher, Curriculum Consultant, board-wide Coordinator of English as a Second Language (ESL), board-wide Supervising Principal of International Languages, and Principal of three inner-city, multicultural and multiracial schools. As a school principal, she has served on the Board of Directors of on-site Day-care Centres. Collaborating with teachers, parents and community organizations, Miriam has worked on programs that address educational, social and equity issues and focus on positive change. She has provided leadership for the development of numerous programs and curriculum documents for the Toronto Board of Education, and has also worked on programs and documents published by the Ontario Ministry of Education, the International Children’s Institute, the World Health Organization and the Community Social Planning Council of Toronto. 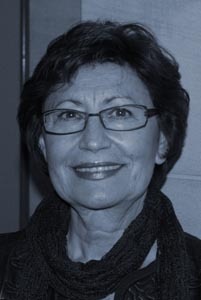 Miriam has been involved in organizing local, provincial, national and international educational conferences and teacher training opportunities, including co-chairing a 2007 National Conference on International Languages. She has served as Principal and Director of ESL and ESL Specialist Additional Qualification Courses at York University and as President of the Ontario ESL Teachers’ Association, and has made educational presentations in Canada and abroad. Internationally, Miriam worked as a senior program advisor for the International Children’s Institute. She coordinated the Institute’s Building Bridges Program (a psychosocial program for children affected by war) in 70 schools in Sarajevo and other parts of Bosnia and Herzegovina. The program was implemented in partnership with the Sarajevo Ministry of Education and Pedagogical Academy and was sponsored by CIDA. Miriam also coordinated the development of the Institute’s refugee camp program. Presently, Miriam is Vice-President of the Board of Directors of Social Planning Toronto – where she has been an active volunteer on a variety of projects – a Board member of the Chinese Lingual-Cultural Centre of Canada (CLCCC) and the Nepali Children’s Education Project (NCEP). In the past, she has served as Vice-President of Family Service Toronto Board of Directors and on the Boards of a number of school-based daycare centres. Having worked as an education provider at virtually every level and in many different contexts, Miriam brings a wealth of experience and knowledge of the challenges and opportunities that accompany education programs to NCEP, and the potential of such programs to effect positive change at the broader, community level.